Tooth loss is normal in four-to-six-year-old children, but not in adults. 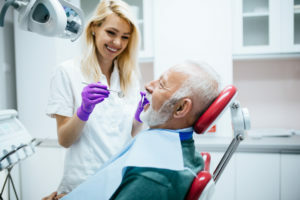 Although tooth loss is quite common in adults, it shouldn’t be considered to be a normal consequence of the aging process. Fortunately, there are steps you can take to reduce your risk of tooth loss at any age. With good oral care from your dentist and a healthy lifestyle, you can enjoy your pearly whites well into your 80s, 90s, and beyond! Some people only visit the dentist when they suffer a toothache or other dental emergency. However, it’s really important to visit a dentist at least every six months for professional teeth cleaning and exam. The dental hygienist uses professional instruments that can scrape away plaque from underneath the gum line. Dental hygienists can also remove calculus or tartar, which is hardened plaque that’s impossible to remove with a toothbrush and floss. This intensive cleaning reduces your risk of developing problems like gum disease and tooth decay, which may eventually cause tooth loss. In addition, the dentist’s exam can detect problems early, before they cause symptoms. The early treatment of oral health problems can help prevent tooth loss. Tobacco use is a significant risk factor for tooth loss. There is no “safe” amount that one can smoke; even just one or two cigarettes per day will harm your health and raise your risk of tooth loss. According to the American Academy of General Dentistry (AGD), smokers are twice as likely to suffer from tooth loss as non-smokers. People who smoke a pack a day can expect to lose at least two teeth every 10 years. Remember that it’s never too late to quit smoking. Even if you’ve already lost some teeth, quitting now can preserve the rest of them. Plus, you might not be a candidate for dental implants while you remain a smoker. Tooth loss can be troubling, but with tooth implants, you can enjoy a beautiful and complete smile once again! Call (646) 783-3529 if you’re curious about getting dental implants in NYC. The dentists at Park 56 Dental look forward to meeting you and discussing your treatment options. If you have gums that are swollen, tender, or bleeding, there’s a good chance that you could have gum disease. Visit a dentist as soon as possible to get the problem under control. Your dentist can clear up the infection and heal your gums with treatment options like scaling and root planing. The sooner gum disease is treated, the easier it is to reverse. While you’re waiting for your dentist appointment, watch this featured video to get some helpful tips on managing your swollen gums. You’ll learn why mouth rinse that contains peroxide can help, and you’ll discover which over-the-counter medications can fight inflammation. At Park 56 Dental, we focus on delivering friendly, patient-centered care within a relaxing, judgment-free setting. Call (646) 783-3529 to request our next available dentist appointment in NYC. Experiencing a dental emergency can be stressful, but at Park 56 Dental, we’re available to help you get out of pain with the emergency treatment you need around the clock. We always have a doctor on-call to help with a dental emergency, and we can tell you whether you can manage care on your own until normal office hours or if you need to meet us right away for treatment. Keep in mind that you should call 911 if you can’t reach us and have experienced a significant injury. 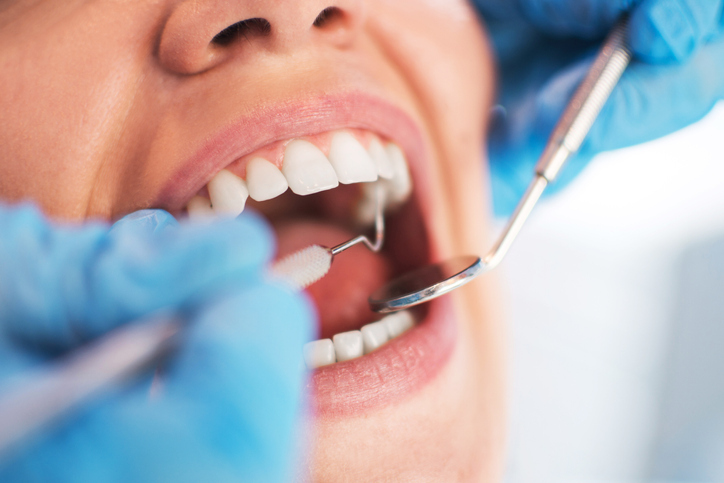 Here are some of the most common dental emergencies we deal with at our office. Having a permanent tooth knocked out may cause you to panic, and it certainly qualifies as a dental emergency. If your tooth is knocked out, pick up the tooth, if possible. Be sure to grab it by the crown without touching the roots, which could damage them. Rinse it off, and if you can, put it back in the socket. If you can’t, keep it between your gum and cheek or in milk or water. The sooner you see your dentist after a tooth is knocked out, the better your odds of reattaching it will be. A toothache is almost always the sign of a serious problem. While a moderate toothache can be addressed during office hours, a severe toothache is an emergency. 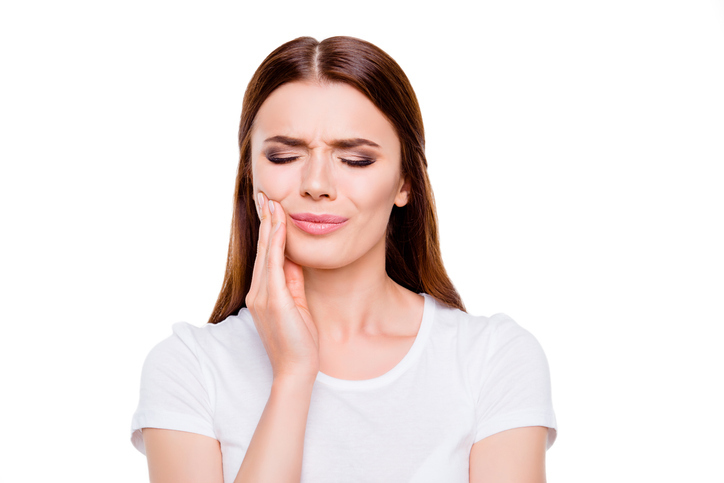 Severe pain could be the sign of an abscess, which can release a dangerous infection into your body, so seek emergency dental care if you’re dealing with a strong toothache. A broken jaw is a serious injury that needs immediate attention. In some cases, your dentist may be able to treat your break by using a bandage to hold the jaw in alignment. In other cases, he or she may recommend surgery. Get emergency dental care right away so that the injury doesn’t get worse. Park 56 Dental provides care for your emergencies around the clock, so call our dentist office in NYC when you have an urgent need. Dial (646) 783-3529 for more information. 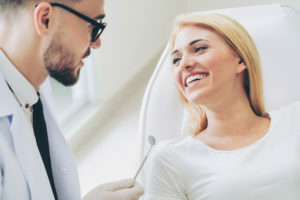 Are There Any Side Effects of Having Dental Sedation? 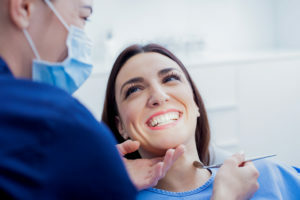 Dental sedation is an ideal way to get the oral health care you need without anxiety or discomfort. 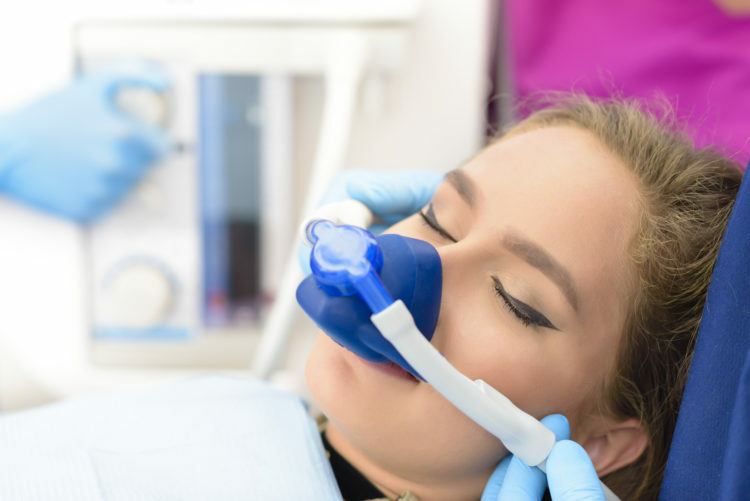 There are several different kinds of dental sedation available, depending on your specific needs. 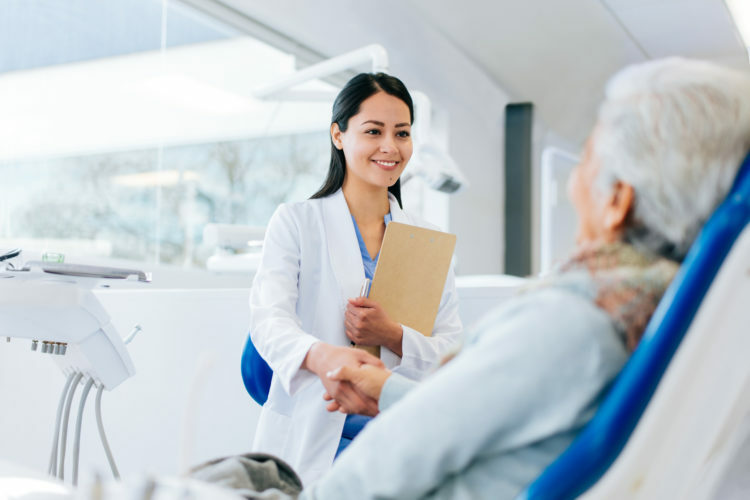 Your dentist will work closely with you to choose the right kind of sedation according to your treatment needs, medical history, preferences, and potential side effects. Some kinds of dental sedation cause little to no side effects. For example, nitrous oxide won’t cause prolonged sedation, through it may cause a headache. Deeper sedation techniques may cause lingering feelings of drowsiness. With IV sedation, patients will experience prolonged grogginess and need someone to drive them home from their appointment. Park 56 Dental is pleased to offer several forms of dental sedation to allow you to have your oral health treatments comfortably. If you’re interested in sedation dentistry in NYC, call (646) 783-3529 to schedule a consultation with one of our dentists. Are All-on-4 Implants Right for You? If you have several missing or damaged teeth, the toll on your oral health and your self-esteem can be huge. Missing teeth make it difficult to eat and speak normally, and you face the risk of damage to the soft tissue in your mouth and your remaining natural teeth. You may also hesitate to smile and struggle in professional and social settings. All-on-4 implants offer a fast and effective solution to help you feel better about your smile while improving your overall oral health. Here is what you need to know. All-on-4 implants can replace a full arch of missing teeth in one appointment, without the need for bone grafting. They are the perfect alternative for people who want the speed of dentures but the stability of dental implants. The All-on-4 system involves using four posts, which are tilted at a 45-degree angle. The angle improves stability and ensures the nerves and the sinus cavity are not affected. Then, a customized set of crowns designed to look like your remaining natural teeth is attached to the posts. You have a brand new smile in a single appointment. All-on-4 implants deliver fast results, which is important to many people with missing teeth. They are more comfortable and appear more natural than dentures, and unlike dentures, they don’t require any kind of special care. Bone grafting is not usually required, and the system is more affordable than individual dental implants. Nearly anyone who has multiple missing teeth is a good candidate for All-on-4 implants. They are a good alternative for people who can’t get traditional dental implants without bone grafting and who don’t wish to wear dentures. The best way to find out if you are a candidate for All-on-4 implants it to make an appointment for a consultation at Park 56 Dental. To schedule your appointment with a top dentist in NYC, call our dentist office at (646) 783-3529.